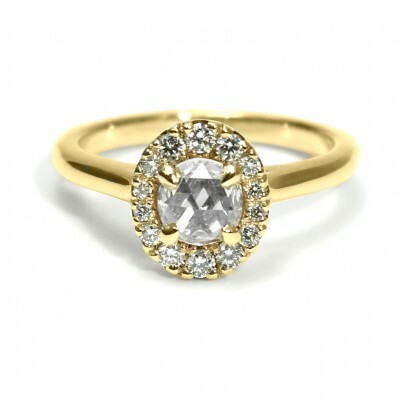 This ring is one of Kyla's "Studio1098 Staff Picks". 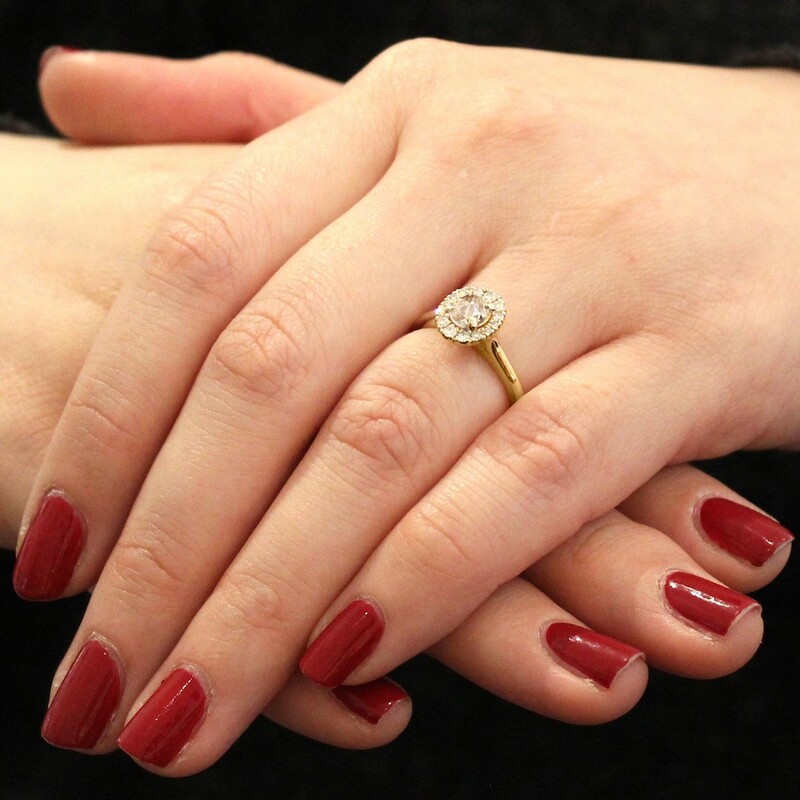 Kyla thinks "The lovely rose-cut diamond adds a vintage feel to this engagement ring, and the oval halo lends an intriguing twist, while the yellow gold gives the whole ring a warm glow. 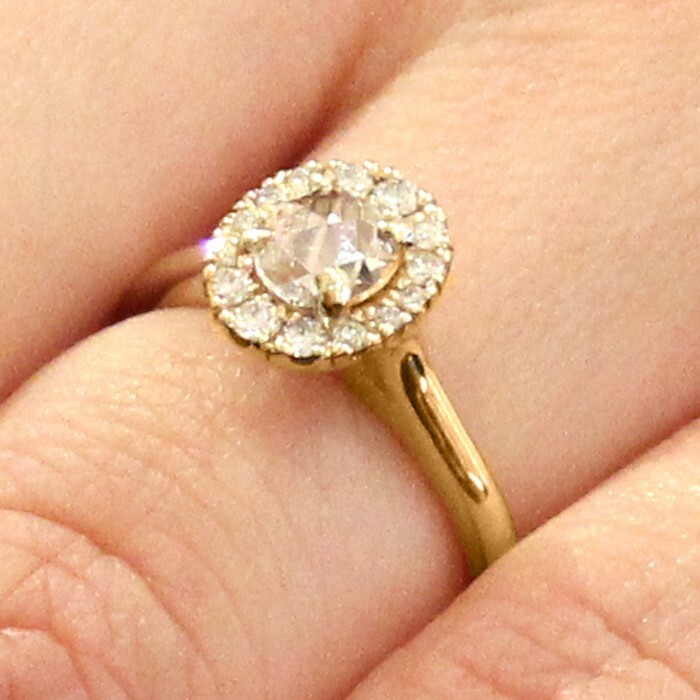 The shape of this ring elongates the finger while adding some lovely sparkle." The rose-cut is relatively new to most people, but it's actually one of the oldest cuts of diamond, dating back to the early 1500's when new tools gave diamond cutters more options for creating new cuts. Folks at the time thought the new cut resembled a rose, which is how this cut got its name. When the brilliant cut was created in the 1900's, the rose cut went out of fashion, only to be brought back into fashion in recent years as people look for alternatives to traditional engagement rings.